Camp Jefferson is a 5500 sq.ft renovation to an existing warehouse space on Jefferson Ave. in Toronto's Liberty Village. 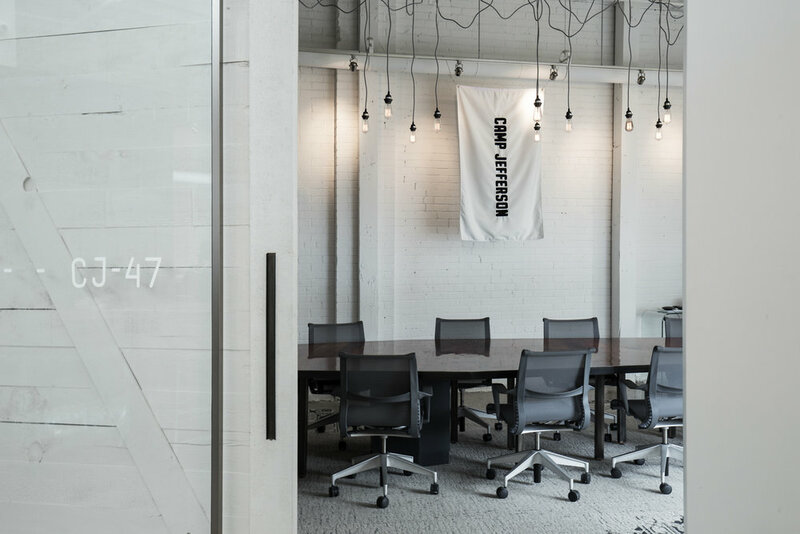 Designed to house a creative agency, the space is comprised of two areas of activity; the HUB and the HIVE. A central faceted armature becomes mission control for presentations and brainstorming. A budget conscious renovation, Camp Jefferson is a great example of 'design where it matters'. Focusing the construction on a central folding wall and two excellent boardrooms, the rest of the space is clean and flexible, with a lot of opportunity for growth, events and reconfiguration.